Student Senate is the student governing body on campus, and we are honored to serve you. Senate is composed of 110 dedicated students, representing each pocket of campus, working to make student life better for all. This year, we plan to shift our attention to more policy-based issues. To accomplish this, we have conceptualized many projects and initiatives we will be pursuing this year. We will be working to lower textbook costs, infuse cultural competency initiatives into learning communities, establish print centers in residence hall lobbies, fund a record number of events and campus organizations, push for a 24/7 bus loop and bridge the divide between the university administrators and each and every one of you. In addition, our 12 commissions have already begun their work for the year. The Governmental Affairs Commission is working to normalize relations with the city council, increase voter outreach and seek opportunities for lowering tuition. The International Affairs Commission is brainstorming interactive ways to keep students in the loop about what international organizations are doing and planning a mandatory program for resident assistants to carry out that will help international students and native students come closer. The LGBTQA Commission will be working with various other LGBT groups to expand the feelings of safety and acceptability for students, even outside of OU's campus, as well as sponsoring a mental health awareness week and PRIDE week. Our Women’s Affairs Commission has already begun planning this year's Take Back The Night week with the Women’s Center. Environmental Affairs is speaking with administrators about the current composting system on campus, discovering ways to enhance our efforts, proposing alternatives to plastic bags in cafes and markets, and looking to bring all of the environmental groups together to discuss ways to keep our university green. Some of the Residence Life Commission’s plans include creating standard shifts and more benefits for resident assistants, collaborating with LGBT and Minority Affairs on expanding gender neutral housing, and establishing temporary lighting on back South Green. The Minority Affairs commission is refocusing itself to focus more on underrepresented students, such as first-generation students and students from Appalachia. The Senate Appropriations Commission, responsible for funding student organizations and events, will be better marketing uFund events and increasing student organization awareness of SAC funding. To stay up to date, follow us on social media — just search OU Student Senate. Interested in joining Student Senate as a voting member or intern? Then email us at senate@ohio.edu for open positions. We also have weekly general body meetings that are open to the public, Wednesdays at 7:15 p.m. in Walter 235. This is just a little nugget of what we're doing this year — all of our other initiatives will come from you all. If any of the aforementioned initiatives interest you, or you have more positive change you’d like to see on campus, contact any of our three executives — President Landen Lama, Vice President Nicole Schneider or Treasurer Zach Woods — or Chief of Staff Jon Schlosser. 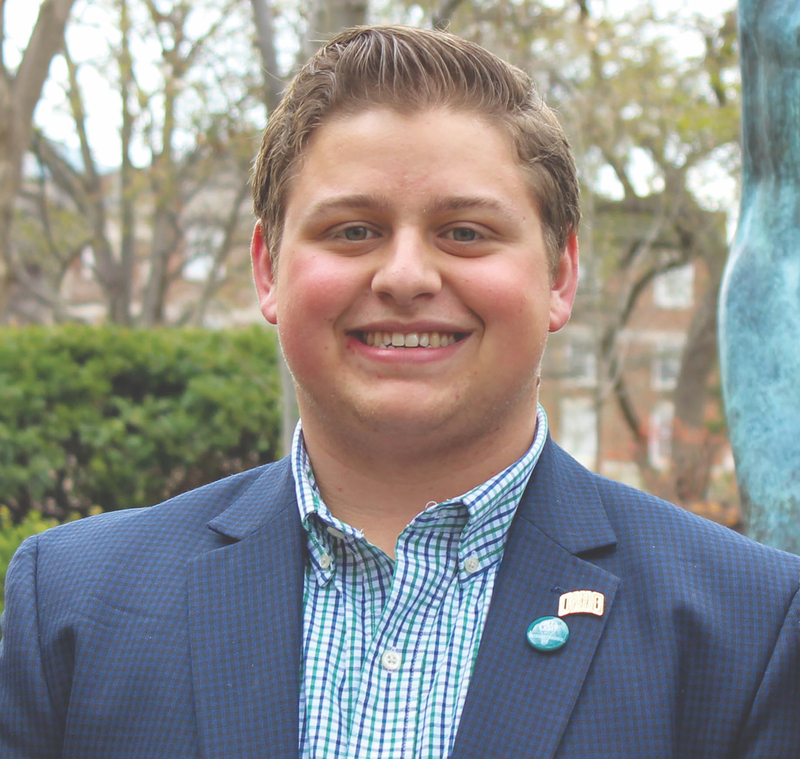 — Landen Lama is Student Senate president at Ohio University and is a senior studying political science. Want to reach out to Landen? Head over to Baker 305 or email him at ll086313@ohio.edu.